UPDATE: 9 victims were transported to the hospital and are being treated for injuries. The man accused of stabbing nine people at a birthday party in Boise, Idaho, has been charged with murder after the death of a 3-year-old girl who was at the party, an Ada County court clerk said Monday. Boise police said the girl died from injuries she suffered at an apartment complex that houses refugees. The unidentified 3-year-old, who had been flown to a hospital in Salt Lake City, was one of nine people injured in the stabbing, including six children. Of the remaining eight victims, one child was treated and released from the hospital, and seven others are still in the hospital, many with serious or critical injuries, Boise police said. The suspect in the stabbing, Timmy Kinner, will be back in court on July 16, the clerk said. Kinner is charged with murder, eight counts of aggravated battery and one count of enhancement-use of a deadly weapon in the commission of a felony. Kinner is accused of attacking the birthday party because he wanted revenge for being kicked out of the complex, Boise police Chief William Bones said Sunday. Victims include refugees from Syria, Iraq and Ethiopia. Six of the victims are between 3 and 12 years old. They were "some of the newest members of our community," Bones said. Kinner is not a refugee and is from Los Angeles, police said. Police said an unnamed resident was allowing Kinner to stay there but asked him to leave because of "his behavior." "As you can imagine, the witnesses in the apartment complex -- along with the rest of our community -- are reeling from this attack," the police chief said. "This incident is not a representation of our community, but a single evil individual who attacked people without provocation that we are aware of at this time." "Last night's horrific attack does not represent Boise," Mayor Dave Bieter tweeted. "Please join me in praying for the injured and their families. We must come together to condemn this vile act." "It is heartbreaking that adults and children who fled the horror of war and conflict to find safety in America had to experience violence all over again," Hans Van de Weerd, vice president of US programs, said in a statement. "Officers located the suspect almost immediately, took the suspect into custody at gunpoint," he said. "You can imagine this is a very tight-knit community here in this apartment complex," Bones said Saturday night. 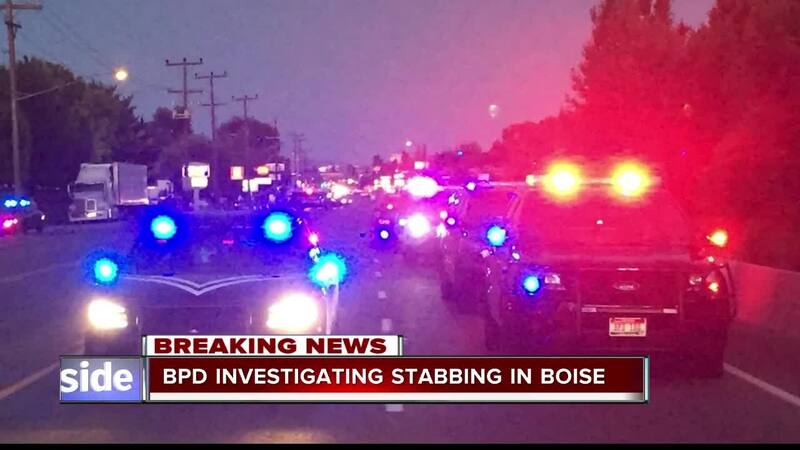 "We haven't had anything involving this amount of victims in a single attack in Boise in the history of the department," he said. "Obviously, it's something you hope never comes to your city."